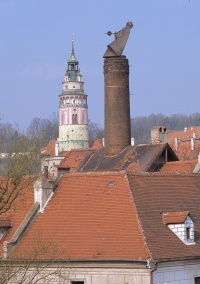 The tradition of brewing beer in Český Krumlov dates right back to the origins of the town. Brewing flourished under the reign of the last of the Rosenbergs. In 1560, a new brewery was built in the castle grounds and a year later, regent Jakub Krčín established a source of wholesome, very high quality water, which the brewery still uses to make its beer today. 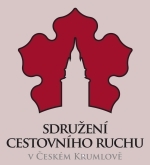 In 1662 the entire Český Krumlov estate, together with the brewery, was acquired by the Eggenbergs. The rising demand for beer was why the former seat of the widow Anna of Roggendorf, the mother of Vilém and Petr Vok of Rosenberg, integrated into the Rosenberg armoury building in 1594, was converted by Václav Vlach of Český Krumlov in 1625 – 30 into what is now the brewery. In 1945, the brewery came under state ownership and together with Budějovický Budvar was incorporated into the national concern Jihočeské pivovary (South Bohemian Breweries). The next stage in the development of the brewery came after privatisation in 1991, when new, modern technology was installed and the brewing capacity increased. The Eggenberg brand quickly became well known and popular not just within the local region, but on foreign beer markets too. The brewery is a complex entity, undergoing changes that go hand in hand with the course of history. The spirit and tradition, however, live on throughout, so we would like to invite you to take a tour behind the scenes to sample some of our beer and to discover the secrets of how this golden vintage is made. These tours can be arranged to suit the individual wishes of each client. Group tours in Czech, German, English, Russian, or other languages can be booked sufficiently in advance using the contact details provided; no booking is necessary for individuals and tours are available every day from 11.00 a.m. at the main gate to the brewery.